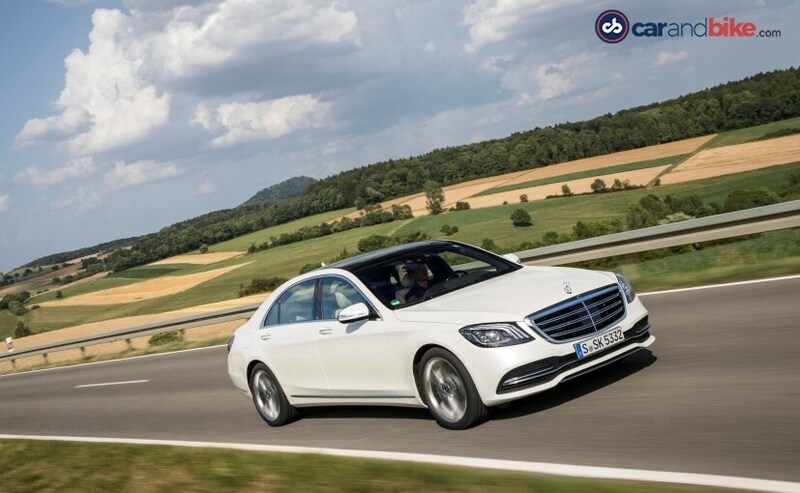 The Mercedes-Benz S-Class facelift sees a few changes in terms of looks but while they may appear to be minor, it's a major boost to the overall appearance of the car. But there's a lot more than meets the eye and the mid-life facelift brings in more in terms of technology, power and of course better driving dynamics. We drive it to find out more about this new car. 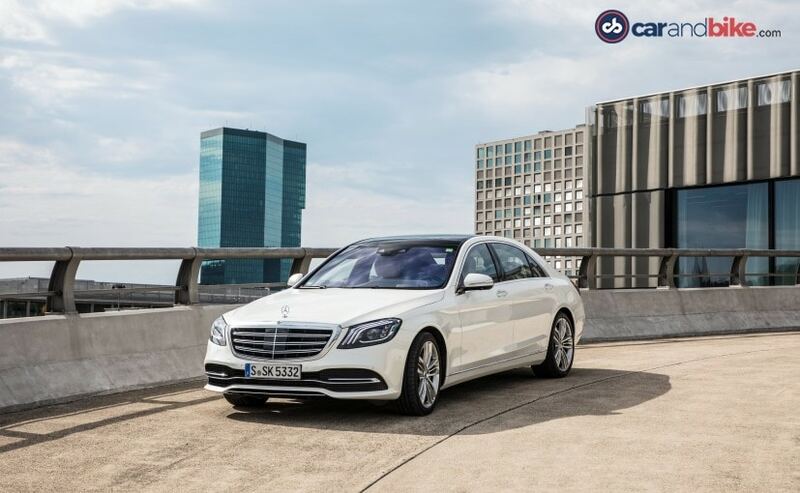 The Mercedes-Benz S-Class has achieved a benchmark status, in its class, as it has always been a car that has been ahead of its competition; may it be in terms of innovation, comfort or even engines, for that matter. However, you cannot completely deny the fact that it seems a little too coincidental that no sooner has Audi launched its brand new self-driving A8, than we see ourselves driving the S-Class facelift, which comes with a bit more tech and some design changes. As with most facelifts, one does not expect huge changes, in the car. Well, frankly, it isn’t a new generation, now, is it? But, the S-Class facelift looks pretty much identical, to the outgoing model. Changes, to the exterior, are few and noticeable, when you go in for a closer look. But, the highlights include a redesigned grille, with six and eight cylinder models, sporting three twin louvers and vertical strips, in a high-gloss, black finish. It also sees new front and rear bumpers, slightly different tail lamps and, the front headlight clusters now have three LED day-running light bars and multi-beam LED headlights, which now give the S-Class its identity. While we asked the Design Director, at Mercedes-Benz, if the LED daytime running bars would be a feature that we’ll see, in most of the cars, he just said that it would be an impossible task, to equip each and every car with it and of course the company wants to give all the cars its unique identity. Having said that, there’s an extra bit of glamour on the new S-Class, as the front grille is now more imposing, which, previously, was only the case on the V12 version; and it looks aggressive; but it’s still unmistakably an S-Class. Frankly, it’s a car that has been around, since 2013, and this is just a mid-life cycle update and the changes continue inside too. Mercedes-Benz updated the interior, to include all the new tech, it introduced, with the recently unveiled E-Class, and so all eyes were on how the S-Class facelift would be speceed. Visually, it remains unchanged, save for the two new natural grain ash wood trim options, new brown tones, and three new upholstery colour combinations: Silk Beige/Deep-Sea Blue, Magma Grey/Espresso Brown and Mahogany/Silk Beige. But, the new equipment is what we had our eyes set on. Most of the features have made their debut on the new E-Class and we weren’t surprised, when we saw the new touch-sensitive buttons, on the new steering wheel of the S-Class. 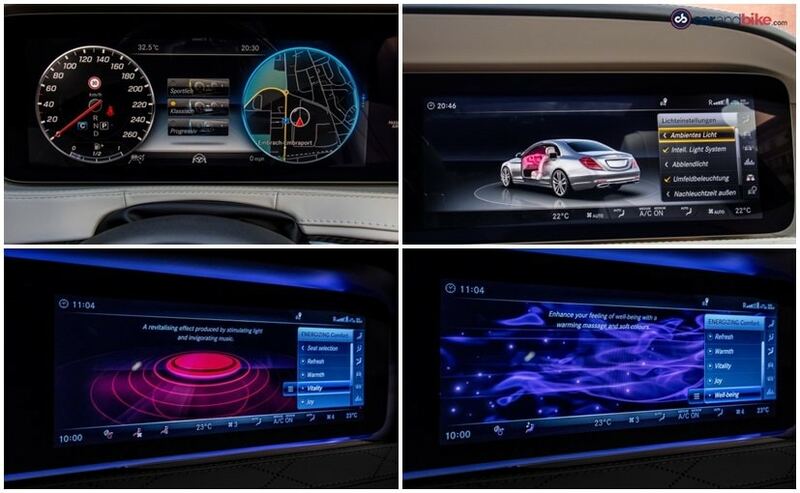 The feature was launched with the E-Class, as a world-first, in the automotive industry and it helps detect horizontal and vertical swipes, similar to something that we see on a smartphone. The innovation allows the driver to control all the features of the infotainment system, by using fingers, thus doing away with any distraction whatsoever. 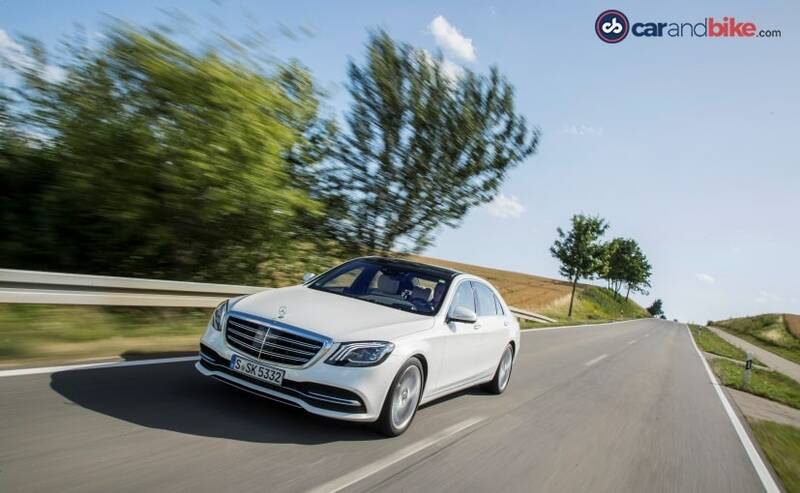 The infotainment system too had made its debut, in the E-Class, and now it makes its way to the S-Class. Alongside the 12.3-inch screen, of the infotainment system, the full-size now includes an equally large display, as an instrument cluster. Sadly, it’s not a touchscreen and when asked why this was so, we were told that it was to reduce driver distraction and well, it made sense not having it. But, you expect a person buying an S-Class, to not spend much time in the front hemisphere of the car, which is why I got into the back seat, to understand if anything has changed. It’s a big car and there’s enough space for a big guy, like me. You have everything, at your disposal - there’s a phone charger, a cooled glove box, seats that can fully recline and give you the same, if not more, comfort, than the seat, in the first class of an airline; and, of course, you get an infotainment system too, all to yourself. What more do you want? Sadly, though, the infotainment screen, at the rear, is not a touchscreen; however, it does get a remote, to operate it with. Overall then, the ambience inside remains unchanged, but it doesn’t feel outdated at all. The biggest change however, has been with the engines; and well, Mercedes-Benz has ensured that it’s now even better to drive. The S-Class is now a Level 2 (out of 5) autonomous car; and this, simply put, means that the car is capable of taking over steering and pedal controls, from the driver, all at the touch of a button and of course thanks to the radars, it has on board. Once the Adaptive Cruise control is engaged, you don’t have to worry about steering or pedal inputs and it’s a bit scary, at first; but then, you start enjoying the capability of the artificial intelligence that this car comes laden with. Yes, you do end up putting your hands on the steering wheel, every 10 seconds, trying to be one up, on the smart system; but, it doesn’t really need interference. In fact, it senses a curve, shows down and then speeds up. Put it in the sports mode and it brakes a little later and makes sure there’s good amount of power, when you exit the curve. Of course, it does not take a racing line and you can’t expect it to; but one day it will! The S-Class even changes lanes, on its own, with the flick of the indicator; and it’s accurate too, which is again scary and you start wondering what you’re doing in the driver’s seat. Of course, in the Indian context, none of this technology can be applied, till we have infrastructure, made ready for it. 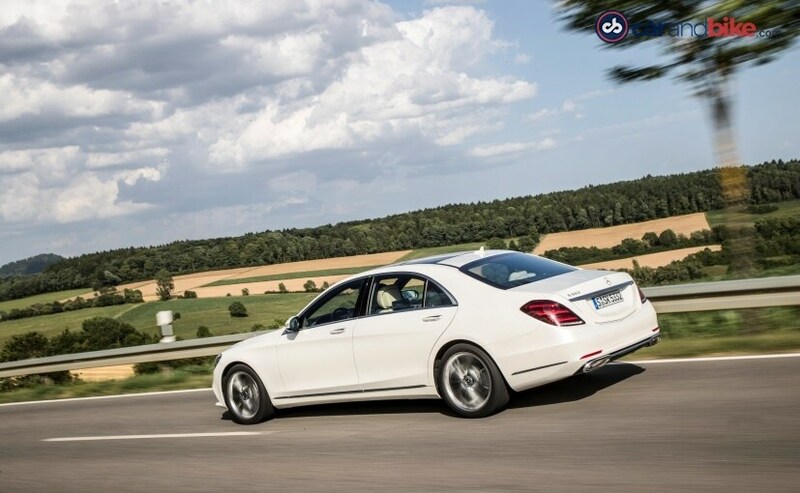 The biggest change, in the S-Class, is the use of new engines; yes, downgrade is the new upgrade, as we found out. 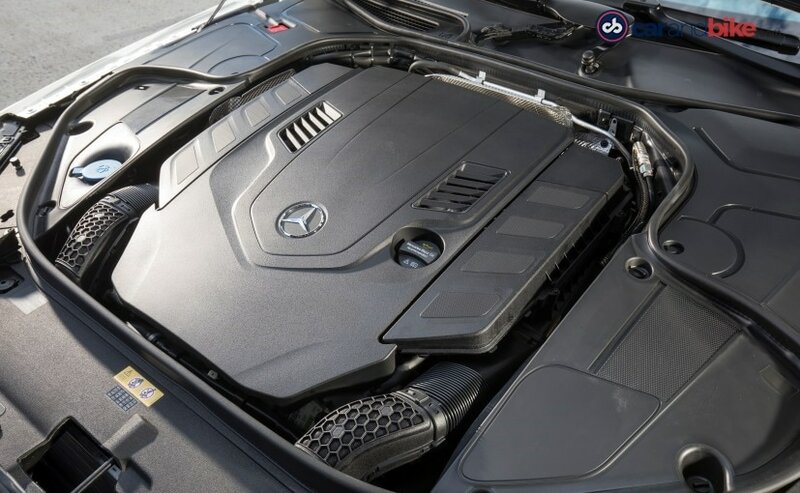 The S-Class sees the introduction of the OM656 – a straight-six diesel and the M256 – a straight-six petrol engine, which will replace the current S-class V6 diesel and petrol engines. Then, there’s the new 4.0-litre twin-turbo V8 petrol engine, which we got to drive. All the engines make more power than their predecessors and they’re all more efficient too. India will get the 350d diesel and the 450 petrol, with a lower state of tune and well, that’s alright, we feel. It’s the 4-litre V8, which is likely to come to India too and the power, on this one, will remain unchanged; but, we’ll see it in the Maybach S-Class and that’s good enough. It’s now called the S560 and the 4 litre motor now gets twin-scroll turbochargers and it makes 469 hp, which is 10 hp more than before. The torque of 700Nm remains the same; but the way it drives has changed. Taking into consideration the environment, the engine also sees a cylinder shut off function, which keeps letting the engine run as a four-cylinder, under low loads; and then, there’s the start/stop system, which really comes in handy, in traffic conditions, especially in India. And, all this actually helps in providing good fuel economy. The engine carries the mantle from the previous one and has amazing levels of refinement to it. There’s a bit of tyre noise, that creeps in, but that’s because they’re wider; otherwise, the cabin is calm as calm can be and that’s what creates an ambience. 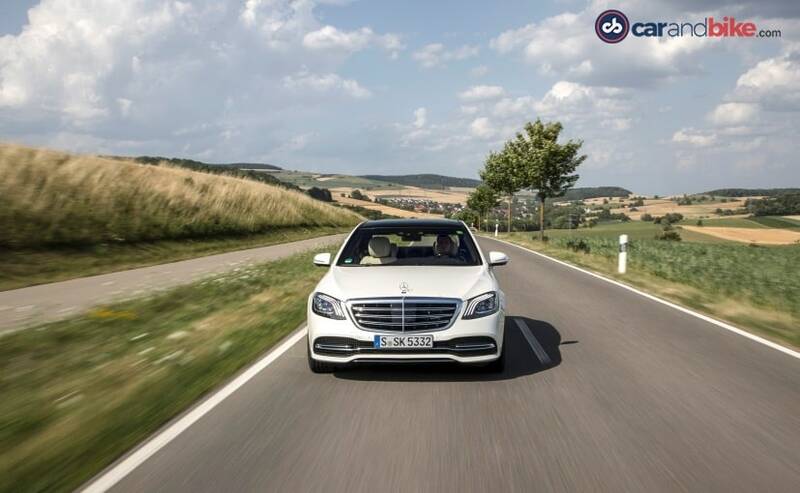 You’ll love to cruise in the S560 and it wears that hat with ease, but it isn’t lazy. It’s not what you expect from a limo, it’s eager, it’s ready to pounce and that’s a new experience, in this car. 0-100 kmph is achieved in just 4.6 seconds and, mind you, this one weighs more than 2 tons. Partly responsible, for this behaviour, is the new 9G-tronic gearbox, which feeds power continuously, to the car, and the transition, from one gear to another, is as smooth as butter. The steering is precise too, compared to its predecessor; and that’s an added advantage. We also got the chance to drive the S 400d, which gets a 3-litre straight six motor and India will get this one; albeit, a less powerful version. The S400d churns out 340hp and that’s a lot of power, at your disposal, and the refinement, on the engine, is good too. It makes a great impression and it was sad that I got to drive it, for a short duration; as there’s a good amount of power available, across the rev band. But well, I’ll have to wait till Mercedes-Benz gets the car to India, next year, to drive it and find out more. While the other departments have seen change, for the good, one area where the S-Class has been the benchmark is the ride quality. With the facelift too, Mercedes-Benz has nailed it. With standard adaptive air suspension, at all four corners, there are no bumps made, which this car cannot soak in, and in the Comfort mode, you just float in the car. It’s a sublime feeling. Put it into the Sports mode and then you feel the suspension firming up and immediately you can see how well the car reacts, as it’s more agile too. But, some undulations, on the road, are felt up front, in the passenger and driver’s seat; however, there’s no compromise, in terms of comfort, at the rear. All this taken into account and you understand, why the S-Class remains the benchmark, in this segment; and, with the new generation a couple of years away, but already under development, one can only try and imagine what more will be packed into it. Mercedes-Benz plans to bring the S-Class facelift, to India, in the first half of 2018 and the AMG and Maybach versions will follow. When it comes to the price, we expect it to hit the ₹ 1.5 crore mark and that’s more than the current one; but still we’re sure that it’ll get takers. With Audi planning to launch the new A8, around the same time, the S-Class faces some stiff competition, as Audi plans to up the ante and that’s a battle worth waiting for.